Nepal Helicopter Tours is the most delightful and enjoying trip in Nepal above the beautiful land of Nepal. Flying above the different treasurer regions of Nepal bestows with the marvelous scenic beauty of the green hills, beautiful villages, high mountains, and other mesmerizing natural gems. Taking a charter flight for observing the charm of Nepal is the best way to witness opulent natural beauty within a short time frame. Helicopter sightseeing is the most comfortable, short and convenient way to explore the breath-taking, panoramic and bird’s eye views of the gigantic Himalayas and other natural features. The most memorable and magical lifetime experience of flying over the area where few people have set foot can be achieved through a helicopter tour in Nepal. Participating in such awe-inspiring trip in Nepal makes the holidays noteworthy and incredible. 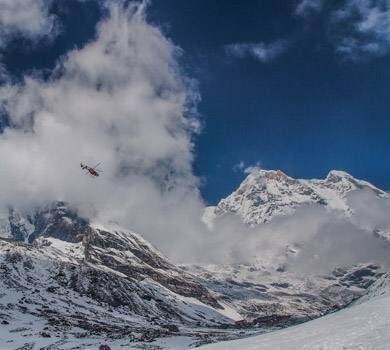 Helicopter Tours in Nepal takes to the hidden valley of different regions of Nepal that holds with the unique tradition and lifestyle of the local people. In the context of the past few years, many visitors prefer for helicopter tours in Nepal to observe the beauty of the Himalayas (mostly), Hilly and Terai region. The helicopter tours in Nepal serving with the variously fixed departure within the marvelous geographical territories of Nepal. The tour in Nepal via helicopter is remarkable that provides with the excellent view of nature. 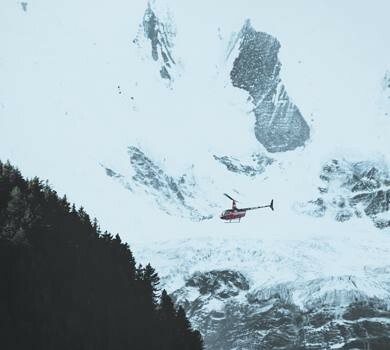 The Helicopter tours in Nepal can be done throughout the year or is suitable in every season but March, April, May, October, and November are the best time to get enrolled with the Nepal Helicopter Tours. Those travelers which are searching for traveling to Nepal and exploring its beauty within a short time period than for those people Nepal Helicopter Tours will be a perfect choice. The different age group, from child to elder people, can easily and comfortably get participate in amazing heli tours in Nepal. 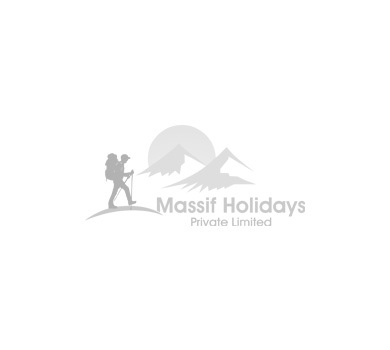 Massif Holidays offer you various unique helicopter tours of different mountain regions in Nepal such as Everest Helicopter Tour, Annapurna Flight, Langtang Sightseeing, Marriage in Everest Base Camp, Breakfast at Mt. Everest, Mustang Helicopter Tour and many others as per request of the clients. All helicopter tours are safe and comfortable as the flights are operated by the pilots with thousands of flying hours experience in Nepal. These tours can be purchased as a best surprising and pleasant gift to your special people on the country of the Himalayas.